Friends come in all shapes in sizes and this should be also set in stone when it comes to hunting dogs too. But do all breeds are good to use for hunting? Let’s take it step by step until it’s all clear for most of you out there. 1 Going through the basics: what’s to know about the hunting dog breeds? 4 Why use dogs for rabbit hunting? 5 What are the best ways to rabbit hunt with dogs? 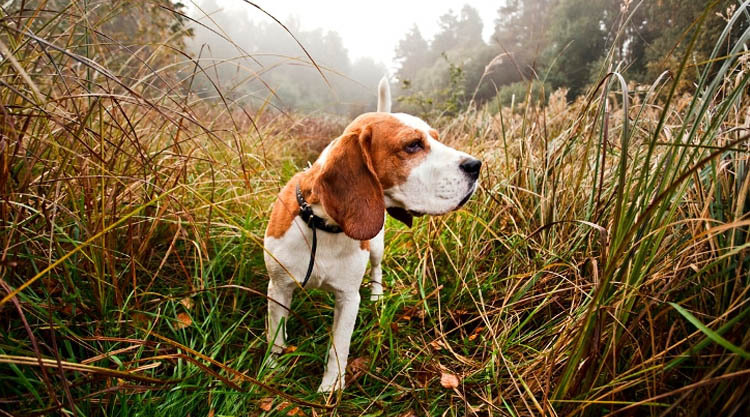 Going through the basics: what’s to know about the hunting dog breeds? There are many dog breeds and if you’re planning to use one for your hunting, knowing a thing or two about most of them is going to help you decide which fits the best your needs (and your pocket, too). Hounds are really popular for mammals hunting. They stand out with their incredible sense of smell, speed and sight and are a great investment to make by any hunter. These hounds do impress with their amazing sight, but they don’t disappoint with their speed either. They may chase, stalk, chase and even kill the prey nice and easy. The Greyhound is the most representative breed in this category. The scent hounds typically hunt in packs and they’re great for trailing a scent to flush or even kill. There are areas where the law forbids the use of packs of dogs, so make sure you’re going legal. The dog is of crossed breeds when it’s a lurcher. 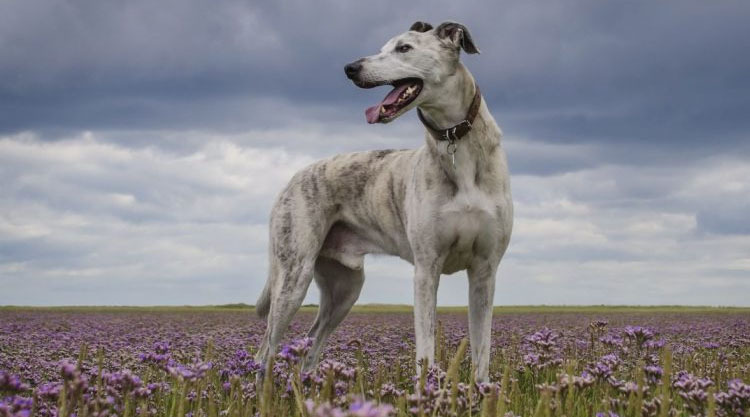 It’s typically a sight hound combined with a different breed which means you can easily bred lurchers with specific temperaments. You want to mix it with a terrier or a pastoral dog. Great at finding and returning your shot game, the retriever is a soft mouth in the dog breeds category. It acts only on command and it stands out with its discipline and intelligence. The setter is commonly used for hunting game as grouse, pheasant and quail. They get their name as they’re able to freeze (“set” stance) the moment they get the prey. The pointers are very reliable for finding and pointing out the prey, but also let you get into range before actually shooting. Spaniels are used a lot for hunting upland game birds and they’re great for all sorts of hunting. It has a soft mouth, a sharp nose and its feet are really steady, which explains its popularity amongst hunters. This breed is used a lot for hunting mammals, making them to bolt. You can train them to capture or kill. Terriers include a very high number of breeds. This is a small breed that is commonly used to hunt game, squirrels most of the time. As they’re a tad large, curs are used like terriers, but mostly for the hunting of larger game. Why use dogs for rabbit hunting? Using dogs for rabbit hunting comes all the way back in ancient times. Dogs aren’t man’s best friend for nothing and one of the things that turn them that way is their ability to hunt. The four-legged side-kick plays a bit part in rabbit hunting even today. The use of dogs for rabbit hunting is a sensitive matter as we speak and the law has been controlling it all over the world. Using a dog for rabbit hunting can totally turn the odds in your favor. For instance, you can use your beagle for flushing the rabbits toward your fire arm. You can also make your retriever get your successful shot. When you’re using a dog, you may also replace the fire arm with a lurcher during the lamping. As long as your dog is well trained, you should be able to get the best out of it when out in the field. Not only that you need to know pretty much everything about the breed you’re planning to use for your hunting, but you should also get informed on training, hunting or housing your hunting help. You should know and put money aside for keeping your dog healthy, well fed and provide it a good shelter too. It’s going to be the most reliable help but you need to take good care of it as well. 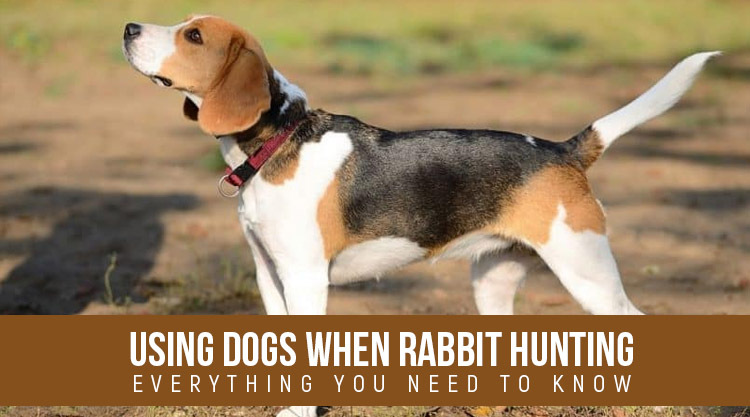 There are many ways to use dogs for rabbit hunting. You can use them for trail finding or when flushing. 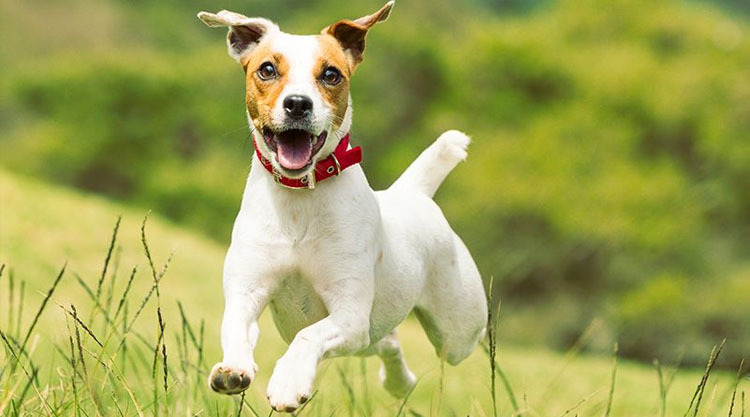 As long you’re training your dog, you should rely on your lurcher, beagle or retriever. As long as you’re using the right method and the right breed, you should hope for great results any given day. Do your homework and learn about the breed you’re planning to use. The more you know about it, the easier is going to be to train it and to use it while hunting. You can clear fields and try night hunting when you’re using a dog on the lamp. This method is very efficient for cutting down the number of pests. If you’re an avid hunter, it’s only a matter of time until you’re going to have to hunt in some tall grass, crops or wooded areas. These areas are great for rabbits to hide and it’s a challenge (if not mission impossible) to get any rabbits at all. A good dog (spaniel and beagles are great breeds for this) is going to flush the rabbit and your firearm is going to complete the hunting. Try your best to stay in the legal area as shooting with dogs is limited in many areas. You want to stay away from any prosecutions. Make sure you know about the laws and keep it legal at all time. What are the best ways to rabbit hunt with dogs? There are several ways to use dogs for rabbit hunting, but we’re only going to focus on the most popular ones. Lamping with lurchers is going to take some beating and it’s an amazing and wonderful way to see your rabbit hunting dog at work. You can use this method also for hares and foxes too. First thing first, let’s see what this method is all about. The lurcherman is going to aim a high powered lamp on his prey. If he’s got the feeling that it’s a good target, he’s going to let slip the lurcher (he can use more than one), allowing them to make the actual kill. Even though it sounds easy, it’s a bit more challenging in the real world. As a hunter, you’re going to have to take time to place yourself and your dog too. You should also scan the field for prey really carefully and find the best time for letting your lurcher loose. This is why lamping with lurchers is both demanding, time consuming, challenging and enjoyable, more than anything else. Obviously enough, you cannot do it without a lurcher. There are so many options for you to use and it the end of the day it all comes down to what you really like the most. Your dog has to be obeying, fast and nice- everything else doesn’t really matter. However, you’d want to use for lurchering when rabbit hunting bulls, collies, deerhound and the saluki the crossbreed don’t really count. Do you need a dog or two? The debate is still out there and the answer depends a lot on who’s asking the question. You’re going to have better chances for catching when using two dogs. Nevertheless, there are many that think that using just one dog is going to be a lot safer (simply because there aren’t going to be any other legs or tails to get it confused). The only way to tell is simply try both and decide later which way to go. Why not use both dogs to run if you already have them trained? When you’re rabbit hunting, you’re going to have to hunt in tall grass, crops or thick wooded areas sooner or later. You may use a rabbit hunting dog (spaniel and beagle do make a solid choice) to flush the rabbit as you’re using the shotgun. The rabbits won’t have anywhere to hide, giving you better chances for killing your game. Typically, you’d have your dog run the ground, clearing the tree lined and bushes. Meanwhile, you’re paying attention and you have your fire arm ready to pick off the rushing target. It does sound easy peasy, but you do need the skills and the speed for being successful. This method is the ultimate proof that you do have the good timing when rabbit hunting with your dog. This method addresses only to those owning a very good shotgun, but also a highly-trained dog. Many of shotgun hunters out there do have an English cocker spaniel or a beagle. No matter your choice of breed, the dog has to be obedient and answer to your calls instantly. This is why beagles do make the best choice for rabbit hunting. You also need a good place to do your shooting (don’t forget to ask the land owner for permission if you’re not hunting on your own land). You should look for the places where rabbits live completely above ground, as they feed between the shrubs and the bushes. Root crops and long mazes are also proper places to find. When you’re hunting on someone else’s land, the land owner needs to know exactly what you’re planning to do. Not many like the idea of using rabbit hunting dogs. Let’s not forget the shotgun matter so make sure that everyone is aware of your plans. 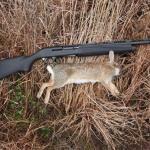 The pleasant mild days with a gentle wind are the best times to try some rabbit hunting with dogs. You need to have the wind hitting your face, blowing the smell and sound away from the rabbits. This only increases your chances for the rabbit to run towards your gun. Once you’re ready to shoot the gun, make sure you send the dog to flush. You may have to wait and follow your dog. The best trick is to be able to pick shots, making sure you shoot at the rabbit. It’s essential that you’re 100% sure that you’re shooting a rabbit. When you’re not entirely sure, you may shoot a bird, a passer by, your dog or even the land owner. The rule of thumb is that, unless you’re positively sure that you’re shooting the rabbit, you should never ever pull the trigger. Get all the info you need to stay safe. Ask if there are any people using the woods (game keepers or dog walkers may be in that areas). If you’re not hunting alone, check that everyone knows about each other’s place at all times. Even though more guns mean higher chance for success, it also means higher risk and danger for anyone in the team. When you’re using a rabbit hunting dog, you shouldn’t use more than two of them. It’s also illegal to shoot anything but rabbits. Don’t forget about the bullet ricochet and don’t shoot towards fences, trees or any type of stones. Last thing you want to deal with is tripping and discharging your firearm by accident. Break the gun prior you go climbing a tree/fence. You can never be too cautious when it comes to fire arms. Load between runs. Losing your kill because of unloaded gun is quite frustrating. 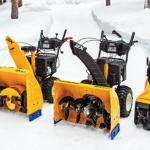 Late winter and early spring is the best time to use this type of hunting. You’re going to avoid the stinging nettles and tall crops like this. Don’t lose hope when one gets away. As a matter of fact, many will do. Stay focused and don’t lose sight of your next kill.